Fifteen minutes of daily exercise is associated with a 22% lower risk of death and may be a reasonable target for older adults, reveals research presented today at the EuroPRevent 2016 meeting by Dr David Hupin, a physician in the Department of Clinical and Exercise Physiology, University Hospital of Saint-Etienne in Saint-Etienne, France. The authors studied two cohorts. A French cohort of 1011 subjects aged 65 in 2001 was followed over a period of 12 years. An international cohort of 122 417 subjects aged 60 was included from a systematic review and meta-analysis using PubMed and Embase databases, with a mean follow up of 10 years. Physical activity was measured in Metabolic Equivalent of Task (MET) minutes per week, which refers to the amount of energy (calories) expended per minute of physical activity. One MET minute per week is equal to the amount of energy expended just sitting. The number of MET minutes an individual clocks up every week depends on the intensity of physical activity. For example, moderate intensity activity ranges between 3 and 5.9 MET minutes while vigorous intensity activity is classified as 6 or more. The recommended levels of exercise equate to between 500 and 1000 MET minutes every week. The authors looked at the associated risk of death for four categories of weekly physical activity in MET minutes, defined as inactive (reference for comparison), low (1-499), medium (500-999) or high (over 1000). During the follow up there were 88 (9%) and 18 122 (15%) deaths in the French and international cohorts, respectively. The risk of death reduced in a dose response relationship as the level of exercise increased. 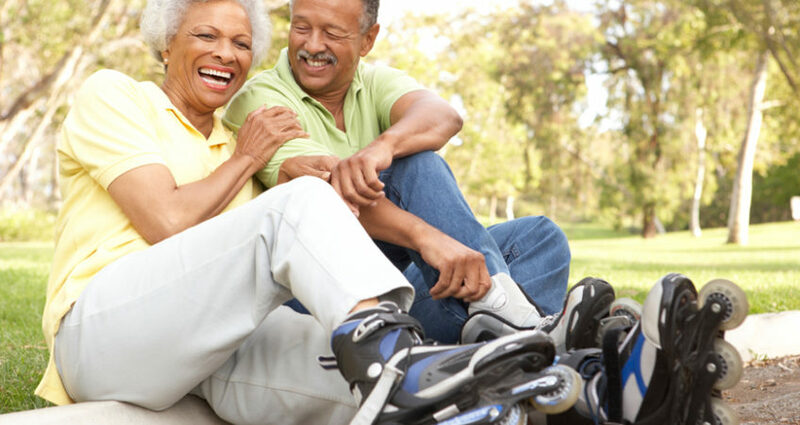 Compared to those who were inactive, older adults with low, medium and high activity levels had a 22%, 28% and 35% lower risk of death, respectively.